I have never been drawn to Clarasonic and I don't really know why, as they are so popular within the beauty industry. I found myself watching Fleur De Force and her review on the Soniclear left me intrigued for quite a few weeks, until I finally bit the bullet and make the purchase. After doing my research I found out that the Soniclear pretty much offered the same and in some cases more than the Clarasonic for a much better price. With 20% discount, which was site wide at the time I ended up paying £106 (I also purchased the recommended cleanser) I believe with the discount the Soniclear by itself was around £96, but without discount its priced at £120, which is around the same price as the Clarasonic Mia, but Clarasonic's price range can go up to around £200 depending on the cleansing system you choose. I decided to opt for the 'Floral' pattern, which I'm so happy with! It looks gorgeous on my dressing table. I like that Michael Todd offer a nice variety of colours, as if your like me I quite like having something a little personal and suited to my taste. I was also really impressed that you get a body brush head inclusive of the price, which is something I don't think comes as standard with the Clarasonic. 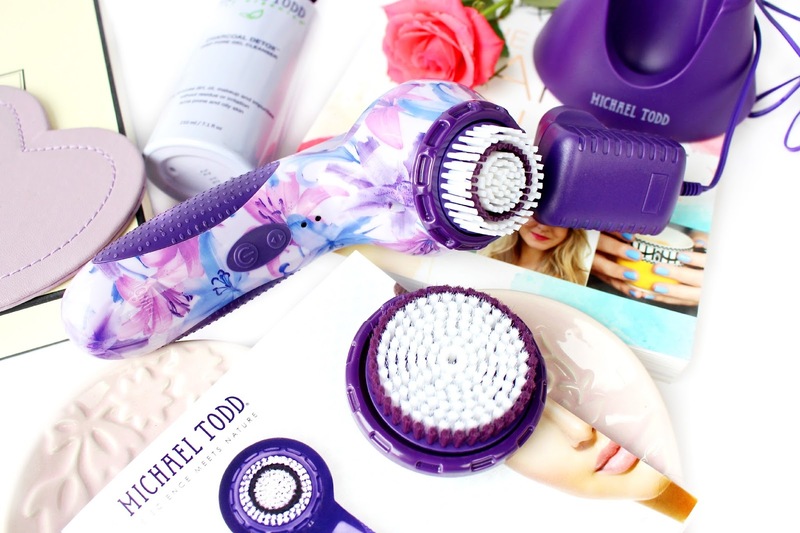 So, you might be thinking what are the key differences between this and the Clarasonic, so I did my research to try and help you lovelies in case you were thinking of making the purchase too! The most impressive fact I found out was that the Soniclear actually had the same features as the Clarasonic Plus, which is the most expensive from the range. 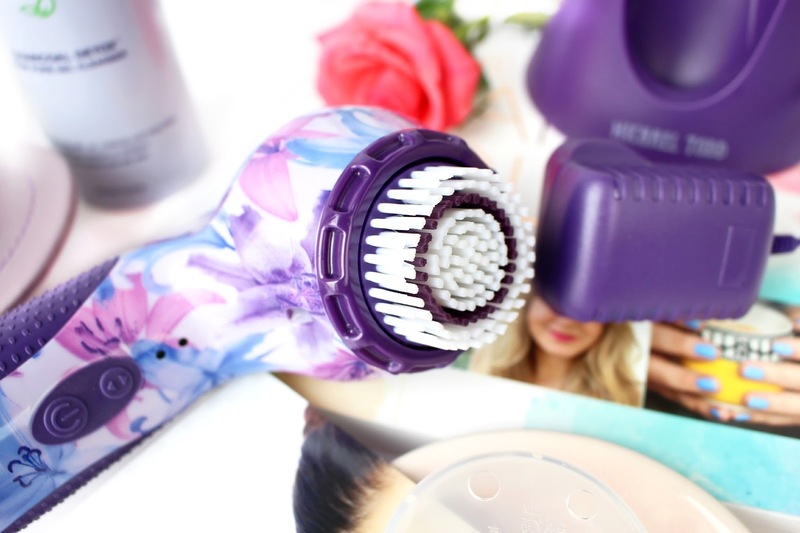 It also has six speeds in comparison to the five that the Clarasonic Plus offers. 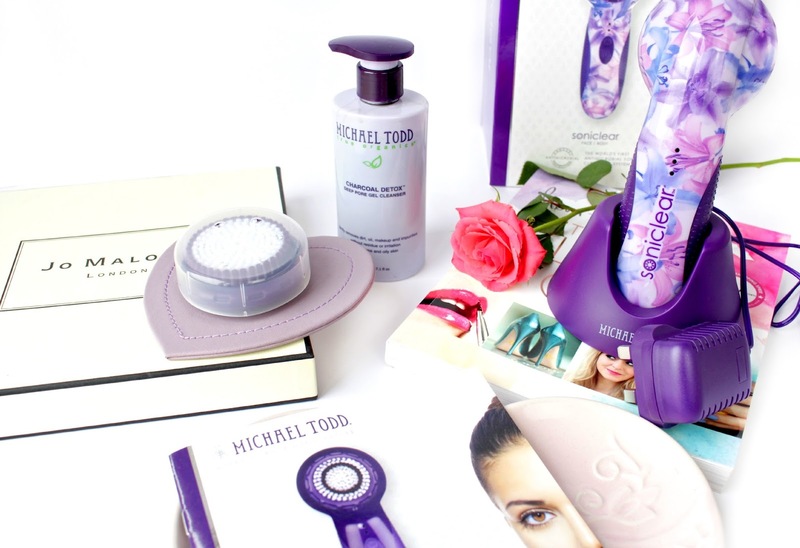 Another pretty cool feature is the Antimicrobial protection, which is patented by Michael Todd.. this means that your brush head won't go all gross and make-upy, which means that overall you would probably save quite a lot on brush heads. I believe a soniclear brush head can last a year, which is pretty impressive! The soniclear also has a great anti-slip system, which makes using the soniclear a lot easier.. especially in the shower/bath. After just over a week of use I don't regret the purchase anymore and I'm quite happily using it daily to remove all the dirt and make-up off my face after a busy day at work. 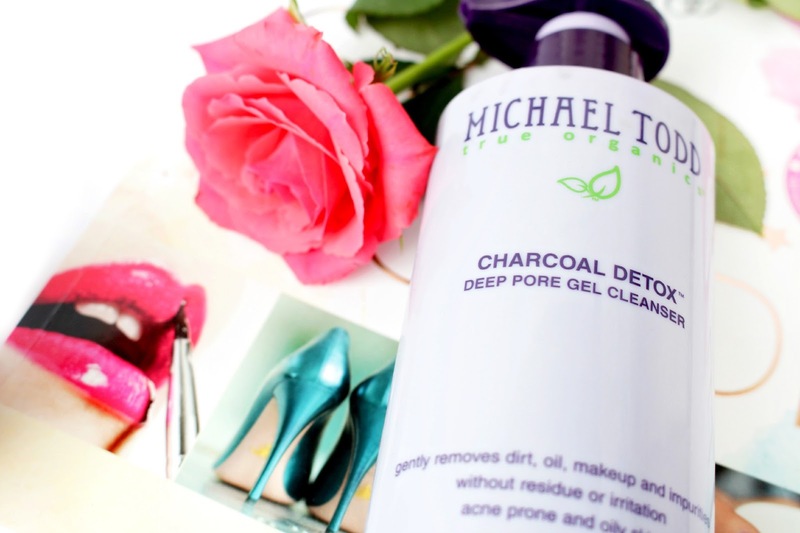 I have also been using the Charcoal Detox Deep Pore Gel Cleanser with the soniclear and so far I really like it. However, I want to do a more in-depth review after a few months of use, as I find skincare products need a lot longer to test drive than make-up related products. However, my skin is looking super clear, smoother and noticely brighter too, which are all good signs to me. I just couldn't resist showing you how pretty it looks haha! Oh wow it looks so sooo pretty, I remember seeing Fleur de Force's recommendation of it as well but hadn't thought about it til I saw this pop up. The product sounds amazing, and I can't wait to see your full review later on. Out of curiosity how much was postage? Did you have to pay customs as well? This is so cool and such a pretty design. I've been meaning to pick something up like this so I might look into this one. Also love the new theme. Thanks Jackie :) I love the design and so far so good... I will be doing a full product review within the next few months! Been keen to get one of these "contraptions" but finding they are quite pricey. Some saving to be done! Ooh this product looks interesting, and pretty! I really like your blog make over too!